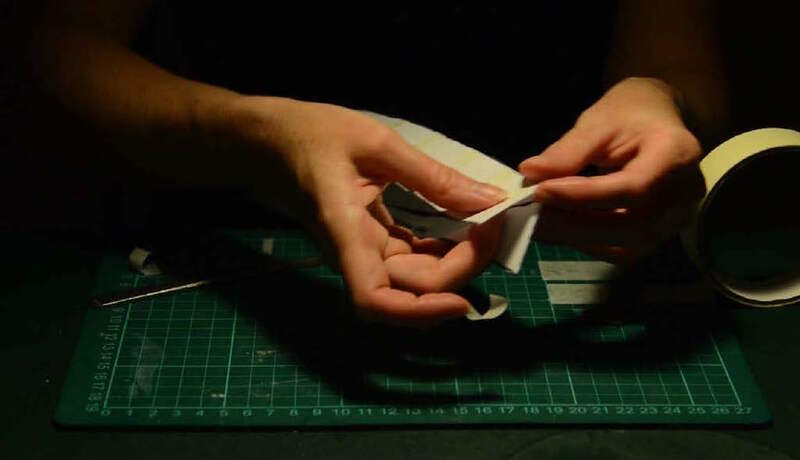 A Fabrication, 2016, video stills. My research explores the use of scale models in self-organised practices, and as such is concerned with both the imaginative and physical activation of models. One particular strand of my practice-led enquiry includes investigations into and speculations upon the nature of the model. What might the critical potential of distinct modes of model use be? For example, using an object as a surrogate for an absent entity, or the manipulation of materials to prototype a new idea. The life-span of the model offers multiple possibilities as the model shifts from a fluid to a more static state, and Teresa Stoppani has argued that the ‘re-activated’ model is a potent space for the creation of new knowledge.1 This is an area of particular interest in my practice, which draws upon the cultural associations and practical capacities of, for example, architects’ models, replicas, instructional models and enthusiast model making. When Testing Testing invited us to undertake a dialogue with another researcher, I decided to extend an ongoing conversation with sound artist Rees Archibald. We share an interest in the role of intuition in making, in intimacy of scale, and things slightly below the usual threshold of attention: the barely audible or visible. These concerns manifest in our practices very differently, but our conversation about making has often seemed to suggest some shared ground. For Testing Testing, we decided to set up a parameter through which we could draw out something about making, close attention and emulation. The Gilbreths’ images were a point of departure. We reached the decision that we would each make a small paper model and record the sound of this process. We would then attempt to re-create the model made by the other, by listening closely to the audio, decoding and interpreting its construction. This would be done remotely, as we would be located in different countries at the time of production. Both the inefficiency of this undertaking (we are not skilled model-makers) and the curiosity at its root (to better understand what it is to experience an object at the stages of creation, apprehension, and translation using a method that would not be our default option) is in stark contrast to the Gilbreths’ aims. Play is an important component, and failure seems inevitable. But the attempt to learn through doing, and the close attention to some kind of trace left by the actions of another, connect our endeavour to their imagery and interest in the pursuit of skill, acknowledging the body in the process of making. I’ve had a long standing preoccupation with the Gilbreths, and consider my work Pictorial House Modelling, After Miss Joyce Inall, 2015 as having a relationship to their imagery. In this work, I displayed a sequence of images from E.W. Hobb’s Pictorial House Modelling4 on a monitor, and mimicked as closely as possible the gestures depicted in the images used to demonstrate the stages of model production process. I used video to capture the reflections of these gestures in the screen on which the ‘slide show’ played. In the performance, having no physical traction against an object, my hands tremble. Effort is discernible, but there is no physical product. 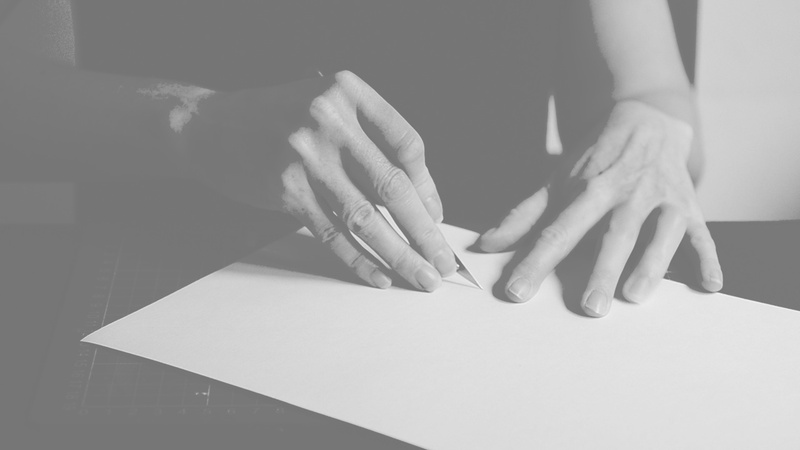 The work might call to mind a magic trick, a tableux vivant, or a pseudoscientific instruction. In emulating the hand gestures, I did not learn how to achieve a pictorial model of a house, but my arms rehearsed and memorised the poses that made up the re-enactment of the model-making process depicted. 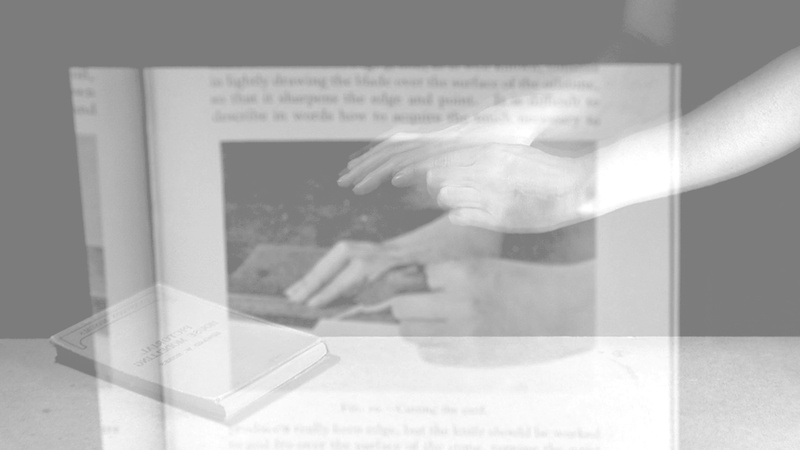 The final work places us at several removes from the original process (making, poses to demonstrate making, photographs in book, digital images of those pages, performance reflected in the screen and recorded by video, projection of video) and is a reflection on the model as a site of nostalgia, memory, emulation, learning, of information and mis-information. I understood the method I used in making Pictorial House Modelling, After Miss Joyce Inall, 2015 as a sort of ‘Mirror Tool’. Perhaps work in this exhibition will be an extension of that enquiry, but until it unfolds we will not know precisely what it will do. It seems that the conversation had been waiting to happen. 1 Teresa Stoppani, The Model—Ian Kiaer: Tooth House talks series (CD) (Henry Moore Institute, Leeds, 2014). 2 Frank B. and Lillian M. Gilbreth, Applied motion study; a collection of papers on the efficient method to industrial preparedness, (New York: Sturgis and Walton Company, 1917) 127 <https://archive.org/ details/cu31924004621672> [accessed 16th May 2016]. 3 Brian Price, Frank and Lillian Gilbreth and the manufacture and marketing of motion study, 1908-1924. Business and economic history (1989) 88-98. 4 Edward. W. Hobbs, Pictorial House Modelling (London, 1926). In the 1920s and 30s, the engineer Edward Walter Hobbs published a miscellany of instructional books, with subjects ranging from How to Make Model Clipper Ships to Concrete for Amateurs. 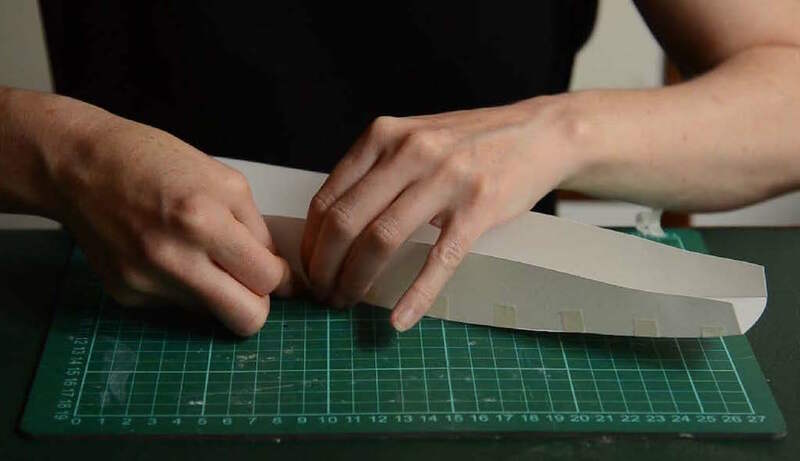 The connecting principle appears to be the aim to develop skill in changing one’s environment, via the practice of this through domestic and even miniature scale. Edward. W. Hobbs, Pictorial House Modelling (London, 1926) employs carefully choreographed illustrations which demonstrate the stages of a process through the depiction of the maker’s hands, posed mid-action. A model for the making of models, his approach attempts to make an account of the tactile in the technical. ‘It is difficult to describe in words how to acquire the touch necessary to produce a really keen edge, but the knife should be worked to and fro over the stone, turning the wrist and thereby the blade of the knife at each end of the stroke…’ (Hobbs, 1926). In 1918 an engineer also named E. W. Hobbs patented a prosthetic hand. 5 Richard Sennett, The Craftsman (London: Penguin, 2009), p. 95. 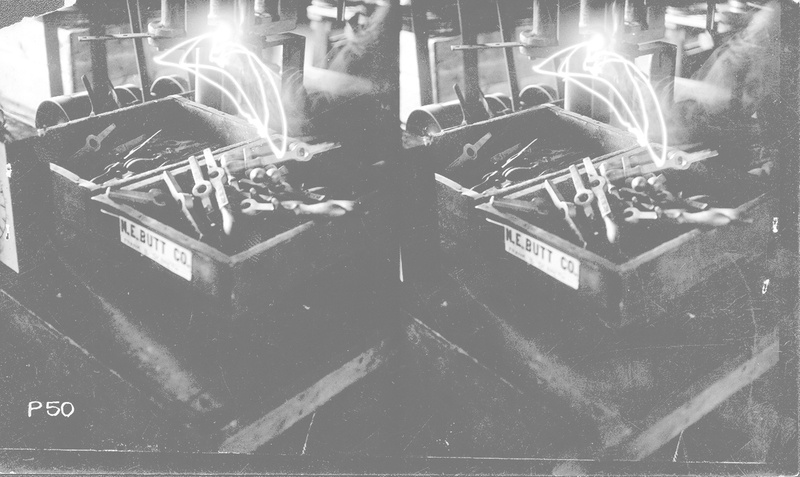 Figure 1: Unknown photographer, From image verso: “2 cycles on drill press showing ‘HABIT’ positioning after transporting. Note the ‘hesitation’ before ‘grasping.’”, c. 1915, stereoscopic photograph, Frank B. Gilbreth Motion Study Photographs (1913–1917) Collection at the The Kheel Center for Labor-Management Documentation and Archives, Cornell University. The image has been cropped and the colour changed. Image is licensed under a Creative Commons Attribution 4.0 International license. Jo Ray is an artist and researcher based in Sheffield. Her practice-led Ph.D. speculates upon the nature of the model, and the use of models in self-organised practices. Scale play and flawed illusions recur in her work, which uses a range of strategies to respond intuitively to appropriated material, and to physical and social situations. Jo completed her Masters degree at the Slade School of Fine Art in 2002, and has since exhibited nationally in both gallery and public sites, undertaking numerous public commissions and residencies including Broken Watch (2007) for Northcabin Bristol, A Common Treasury (2013) for Grit an Pearl in South Shields, Stand By (2007) for Red Nile, Gateshead and Spoken For (2013) as part of the curatorial project Magnificent Distance, part of the 5×5 art festival in Washington DC. Jo has also worked collaboratively with Art Gene (UK) on projects including Seldom Seen (2013) a cabinet of curiosities for Piel Island. Jo was recently Researcher in Residence in Christiania, Copenhagen and undertook a cross-disciplinary curatorial project What’s to Hand in SIA gallery in 2015. She is a recipient of the Vice Chancellor’s Scholarship at Sheffield Hallam University and currently lectures at Hull School of Art and Design.